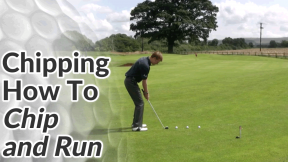 In part 1 of this golf chiping series we looked at setting up correctly for chip shots. 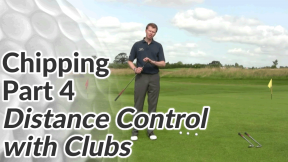 In part 2, we looked at developing a solid, repeatable chipping action and in part 3, we looked at distance control. In this final part, we’ll look at club selection for chips shots and how various lofts affect the roll to flight ratios. 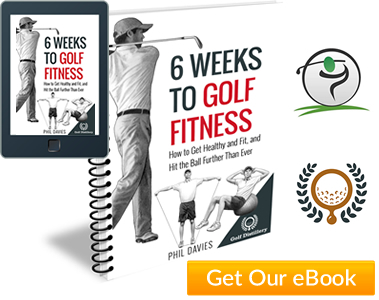 Using the most lofted wedge in my bag – a 60 degree lob wedge – the ball should fly most of it’s distance in the air and stop relatively quickly (fly 70-80% of the total distance). Switching to a pitching wedge, we’d expect the ball to fly about 50% of the distance and roll 50% of the distance. 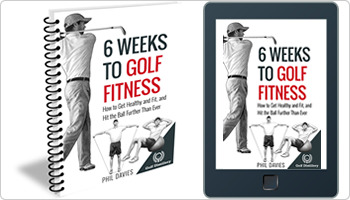 We’ll need to make a shorter chipping action because more of the power is transferred to forward momentum rather than getting the ball in the air. 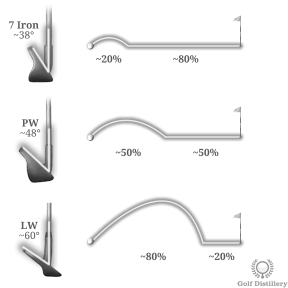 Taking a 7 iron, the ball will fly only about 20% of the distance and roll 80% of the distance. 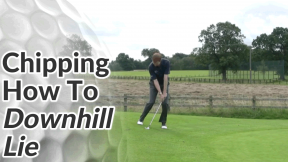 We’ll make a very short chipping action because nearly all the power is transferred to forward momentum. 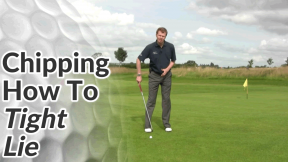 Regardless of the club you select, our set up and chipping action is the same. The only thing that changes is length of backswing.